Attorney General Jeff Sessions issued a sharp critique on Aug. 6 of a federal judge who ordered the reinstatement of the Deferred Action for Childhood Arrivals (DACA) program, saying the order equates to overreach by the judicial branch and hampers the Trump administration’s efforts to protect the nation and its citizens. U.S. District Judge John Bates of Washington ordered the administration to restore the DACA program in full on Aug. 3. In September last year, President Donald Trump announced that he would end the program after six months. Since then, several judges barred the administration from doing so. Bates went beyond those prior court orders and ordered a full reboot. The Trump administration has 20 days to appeal the decision. After Congress rejected a proposed law similar to DACA in 2012, President Barack Obama’s Department of Homeland Security circumvented the legislative branch and enacted DACA through a policy letter. The Trump administration asserts that such a policy is illegal since only Congress is vested with lawmaking power. 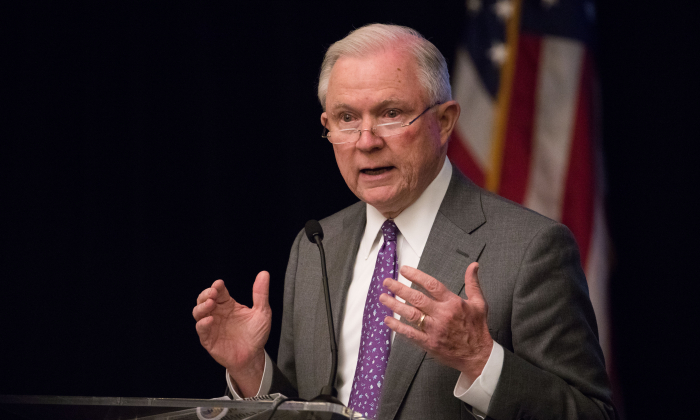 “The judicial branch has no power to eviscerate the lawful directives of Congress—nor to enjoin the executive branch from enforcing such mandates,” Sessions said. The Trump administration will continue to defend its authority to enforce immigration laws, Sessions added. The DACA program granted temporary legal status to 800,000 illegal aliens who were brought to the United States as children. Trump has offered a solution to lawfully revive DACA in exchange for a package of immigration reforms, including a wall on the southern border. Congress rejected the proposal.